On Monday, 1st October, Craig Baxter and Janet McAlister from Fyne Homes joined us for our Monday Morning Assembly to announce the winning entry: Queen’s Court. As you can see, this was a popular choice amongst the families who entered. 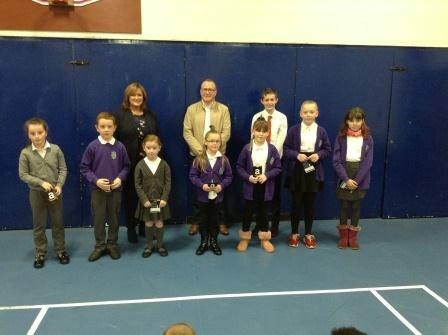 Nine pupils were lucky enough to receive winner’s vouchers. Fyne Homes generously gave all pupils who took part a stationary set. We would like to thank Fyne Homes for inviting us to take part in this competition.